﻿ What is Direct Attach Copper Cable ? 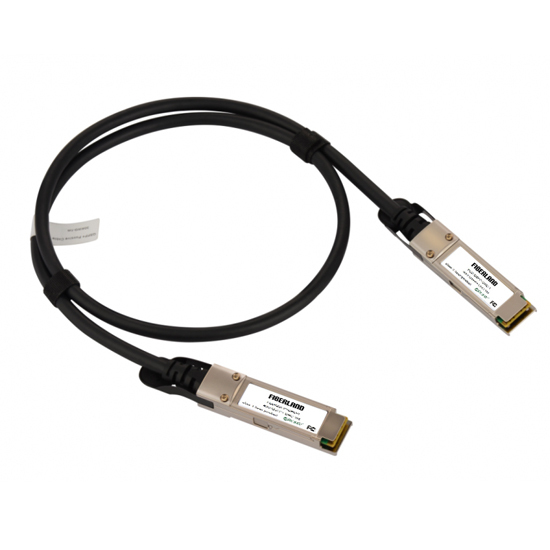 DAC is direct attach copper cable assemblies with hot swappable transceiver modules like as SFP+,QSFP,QSFP28. It provide a lower cost,high density interconnect solution alternative for high speed interconnects from 10G to 100G to fiber optics transceivers. Compared with optics transceiver,the direct attach cables providing a cost effective solution that support multiple protocols including 40GbE,100GbE, Gigabit & 10G Ethernet, 8G FC, FCoE and InfiniBand. In today’s Data Center, more bandwidth is needed to support the use of server virtualization where multiple virtual machines are combined on a single physical host server.To accommodate the ever-growing number of operating systems and applications residing on individual servers, virtualization requires significantly increased data transmission between the servers and switches. At the same time, the amount and type of devices residing on the network has dramatically increased the amount of data that needs to be transmitted to and from storage area networks (SANs) and Network Attached Storage (NAS). The application is mainly for high speed I/O applications in storage, networking and telecom markets,Switches, servers, routers, network interface cards (NICs), Host Bus Adapters (HBAs),High Density and High Data Throughput. The direct attached cables can also be classified to active DAC and passive DAC. Passive DAC cables have no signal amplification built into the cable assembly hence for ultra short reach, whereas active DAC cables have signal amplification and equalization built into the cable assembly for a litter longer reach in the same time with a higher price.